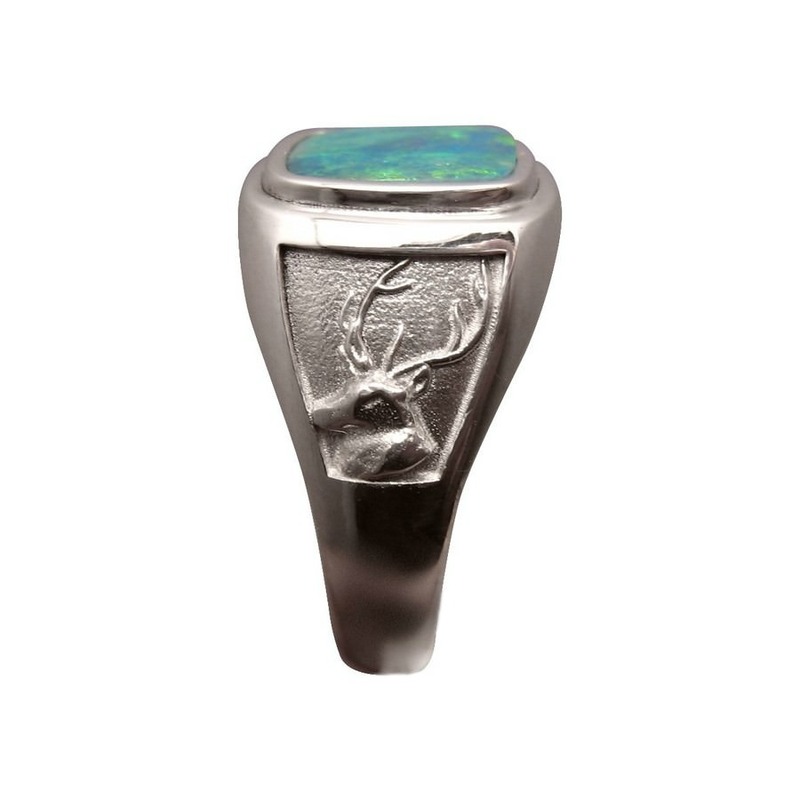 A mens Opal ring with an almost square Green Opal inlaid in a ring with deer stag detail. In stock and ready to ship. 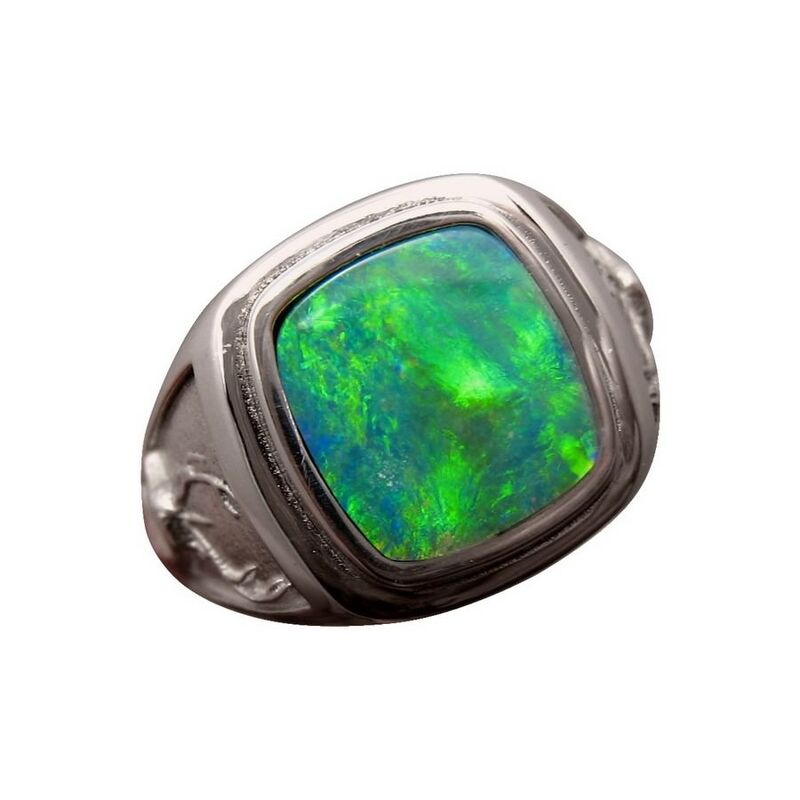 A masculine mens Opal ring shown in 925 Silver but can be made in Gold. 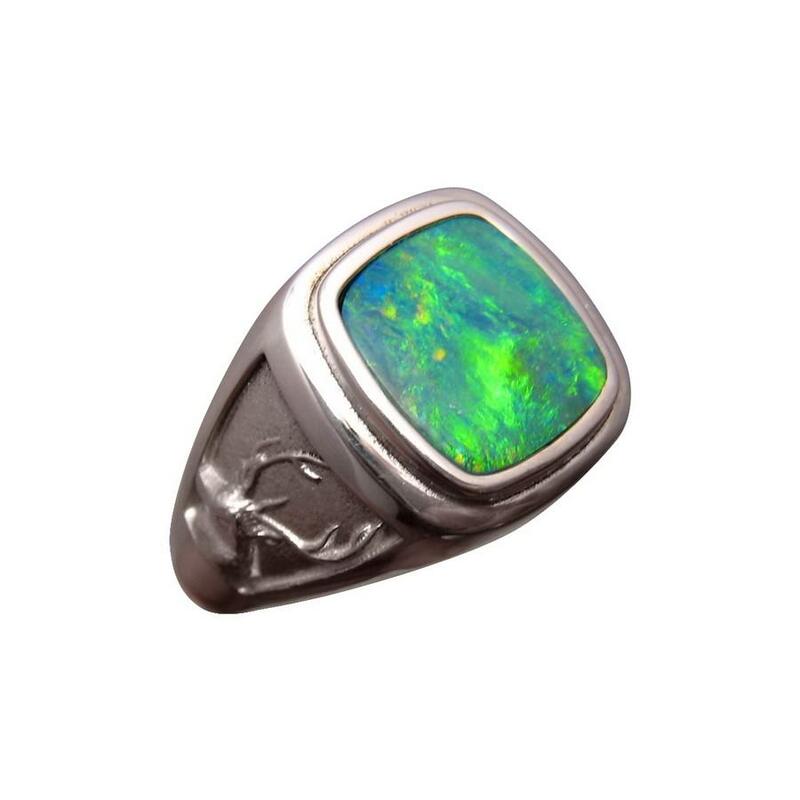 The band is embellished with the head of a deer and the top of the ring, features a bright Green Lightning Ridge Black Crystal Opal that is almost square in shape weighing about 2 carats.. Watch the video below to see the brightness and play of color in the Opal as well as the high shine of Silver the images do not capture. 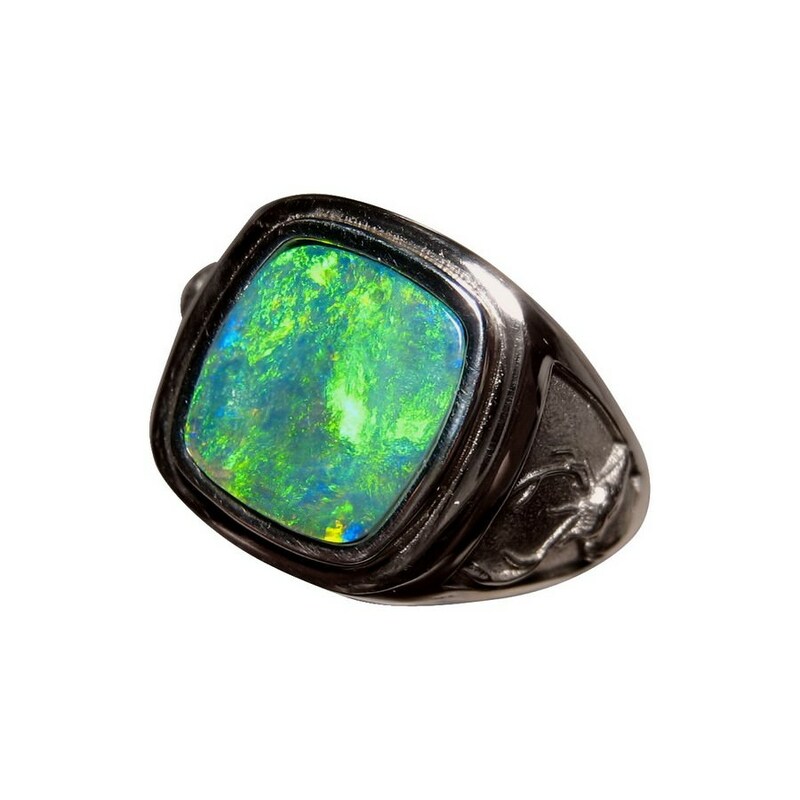 A heavy Opal ring for men that is ready to ship as detailed below or will take about one week for any change to ring size or to be made in 14k Gold.